Her antique and balmy voice captivates your ears; the colours of her oriental energy paint ornaments inside your soul; and the calm warmth of her performance contrasting the rhythm of her melody, leaves you at the mercy of a peaceful musical crescendo. Kalia’s voice will charm your senses and take you back to the ancient stages in Greece and Asia Minor, performing music composed by traditions and tuned by a breath of history. 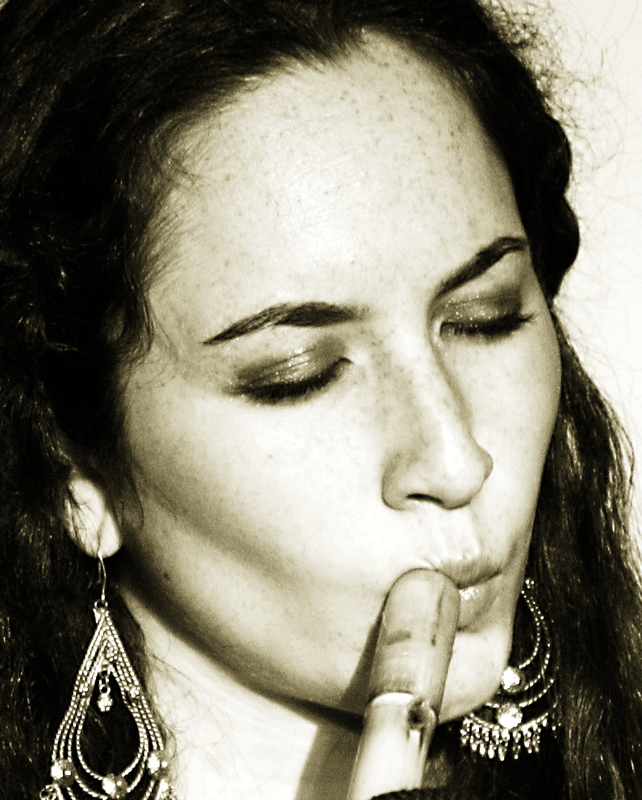 Kalia Baklitzanaki is a professional singer and nay player,performing traditional vocal music from the Eastern Mediterranean and Middle East. Although her musical heart seems to be attached to her Greek homeland,the island of Crete, Kalia is half Greek, half English. 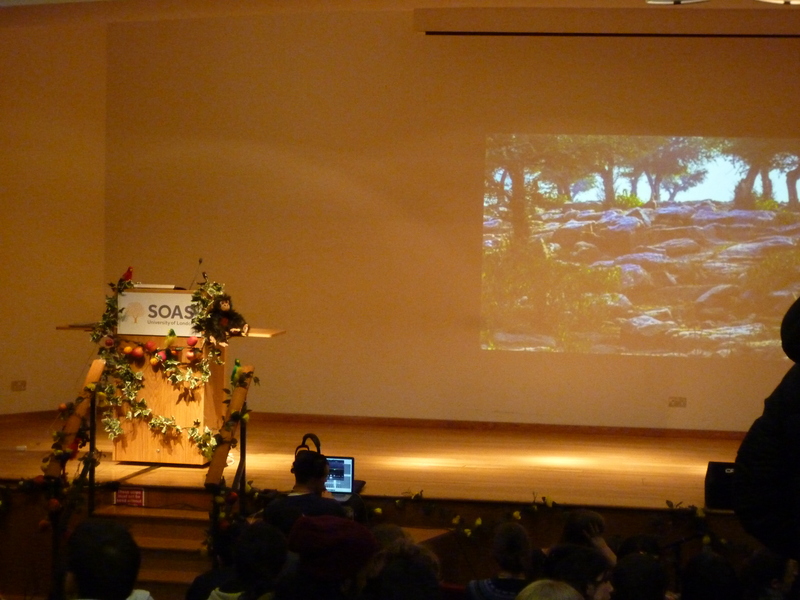 When my friends asked me to join them for some “Sacred Forest” event at Brunei Gallery of the SOAS University of London yesterday, I immediately reacted with an a positive answer: YES!! And if you think of all these events you went to and then regretted going because it did not work for you, well, this one wasn’t one of them. And you will see why.